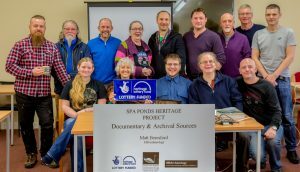 Welcome to the second in our series of accounts of the activities taking place as part of the Heritage Lottery Fund supported Spa Ponds Heritage Project. The day-long training session was led by Matt Beresford of MBArchaeology, who treated participants to a presentation that introduced us to documentary and archival sources for local history research. Moving on to more local sources, Matt recommended ‘The History of Mansfield and It’s Environs‘ (William Harrod, 1801) and John Beckett’s ‘Nottinghamshire Past’. 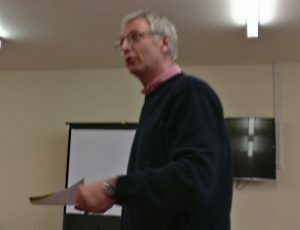 Matt emphasised the importance of appreciating the site within its landscape. Books such as ‘The Making of the English Landscape’ by W G Hoskins and Francis Pryor’s ‘The Making of the British Landscape’ could help us contextualise Spa Ponds within its Mediaeval landscape. Another takeaway message from Matt’s presentation was that digging around in old books can be just as valuable as digging in fields when it comes to understanding history. 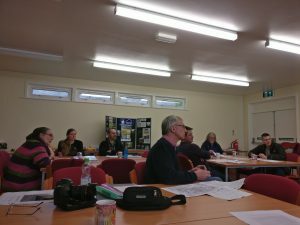 Matt then led a discussion of the relationship between ‘local history’ and ‘archaeology’, explaining how these two disciplines often overlap. 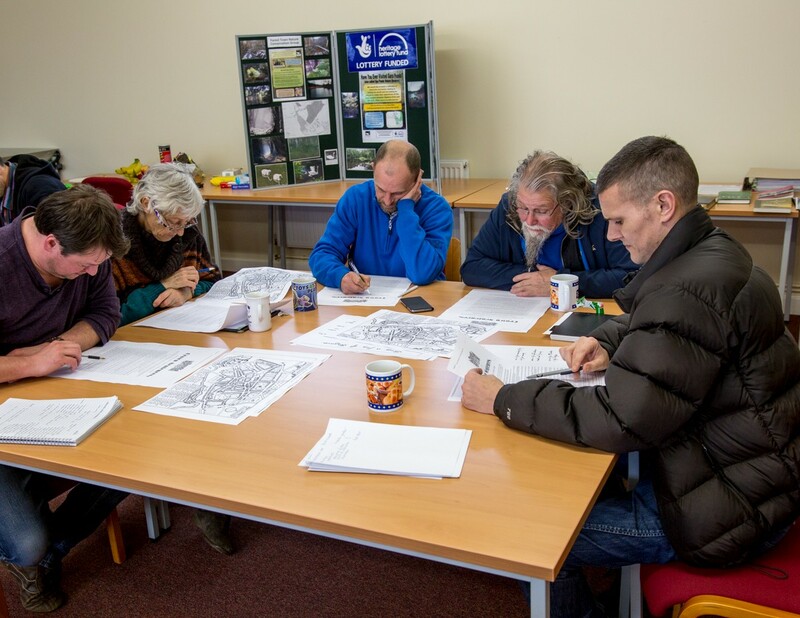 For example, we can find artefacts unearthed through archaeology stored in local history libraries. Matt noted that historical records can also be found in unexpected places, like King’s Mill Hospital. 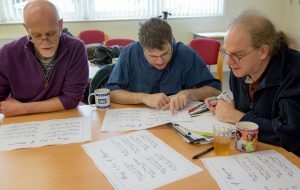 The group discussed some of the places where we have come across historical information. For example, John pointed out that public houses can be useful places to glean information, whether from photographs displayed on the walls as decorations, or from those who frequent such establishments. 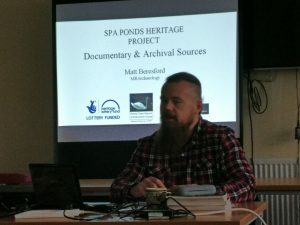 We were introduced to some of the many different types of sources of information that might be useful when researching the history of Spa Ponds, including: maps, manorial documents, historical directories, legal records, personal diaries, census returns, drawings and photographs, and oral histories. 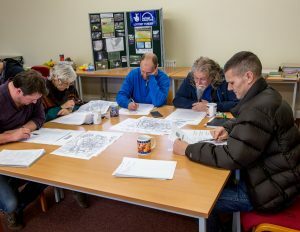 Matt warned us about some of the shortcomings of historical sources, including the way that maps are not always accurate and hand-written records are not always easy to decipher. 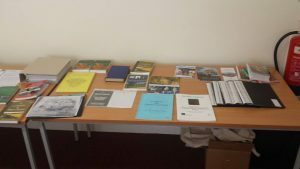 Matt signposted us to the British Association for Local History (BALH) and the Nottinghamshire Branch of the Victoria County Historians, alongside the County Archives for both Derbyshire and Nottinghamshire, and the National Archives at Kew in London. No doubt we will be visiting all of these via the Internet, as well as wandering around some of them ‘in real life’ over the coming months and years. Who owned the area at the time of the Domesday Book (around 1086)? When was the deer park first established in Clipston? Where were the nearest manor houses, castles and other large buildings located? Was the hill above Spa Ponds used prior to it being part of Clipston Park, e.g. as an Iron Age hill fort? 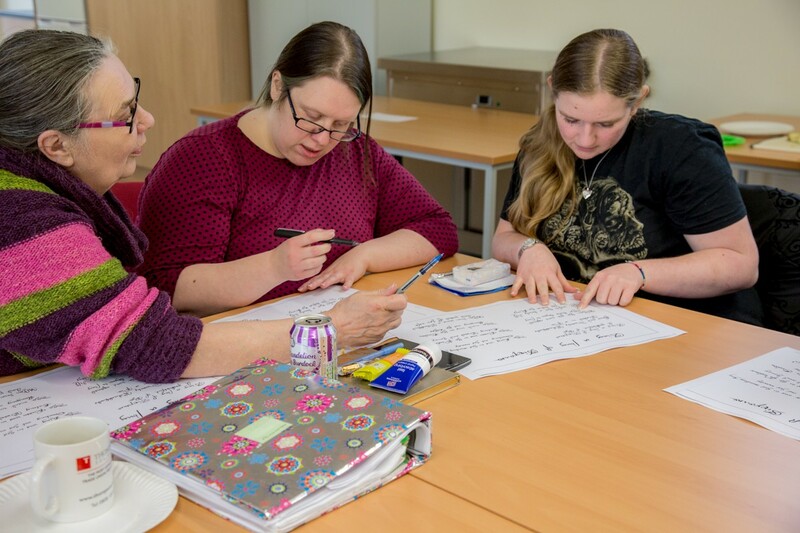 These and other questions may be addressed during our group research sessions and as part of the forthcoming Interpreting Maps Workshop (which will take place on Friday 21st April) when we will be mapping all recorded archaeological finds in the vicinity of Spa Ponds. 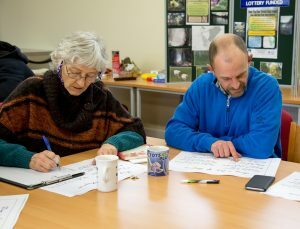 After lunch Matt guided us through some activities that were designed to help prepare us for the sort of challenges we can expect to encounter as we begin to undertake research into the history of Spa Ponds and environs. Matt ensured that we are equipped with plenty of good ideas about where we might go to find information, including Internet resources and those available only by visiting libraries, museums and other places where archives are kept. A day overflowing with information and thought-provoking activities was brought to a suitable close by Phil, who thanked Matt for his contributions, as well as thanking those who contributed in other ways, e.g. Ann, who made sure there was plenty of fruit and other healthy nibbles. 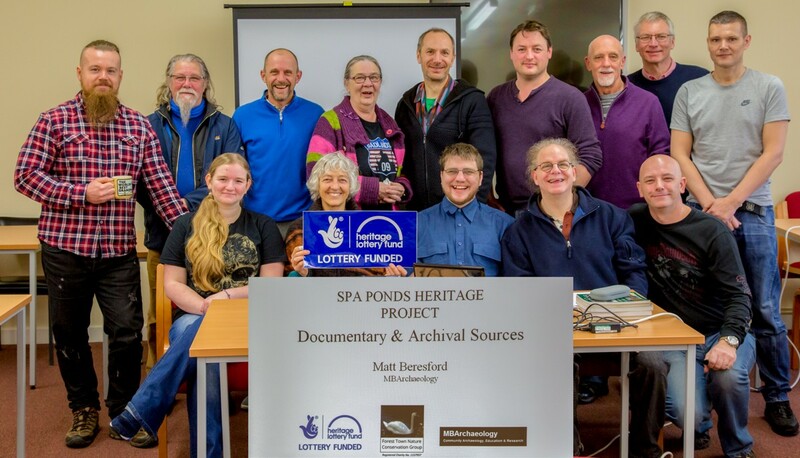 We are all looking forward to the next Spa ponds heritage project events, including the Heritage Management Plan and group research session on Friday 3rd March, and the LIDAR Workshop on Saturday 11th March. This entry was posted in SPHP by admin. Bookmark the permalink. Where possible this project's digital outputs are released under the CC BY-NC license.